Joe Brown, was the keynote speaker at the Birmingham Primary Languages Conference. Joe is a Primary Language Teaching Adviser at CILT explained his experience and background as a Primary School teacher, teaching abroad (in bilingual German school) and in Inner city London. Joe used an exercise with the following greetings to highlight how many languages were spoken by the pupils at the school where he teaches. He talked about the opportunity that this offered to show respect to others by learning how to greet these children in their own language, giving value to the home language and also the possible discussion of forms of greeting (tu et vous; tu y usted) How many languages can you identify? Joe was definite that PLL is NOT just about speaking and listening – there are five strands in the KS2 Framework and all are as important. There is fun in PLL but there is also rigour. He highlighted the QCA scheme of work, pointing out that it is specifically designed for the KS2 Framework and is freely downloadable or can be purchased for £15. Joe asserted that every child is interested in language learning – every one can be intrigued by the idea of different languages, giving successful experiences to those who may have struggled in other areas of the curriculum. We want to harness this enthusiasm, embedding language into the curriculum and making sure that language lessons stay as among pupils’ favourite lessons. Joe commented that, in his experience, this enthusiasm is particularly well maintained where there is dialogue between primary and secondary, and where PLL has the support of the Headteacher. 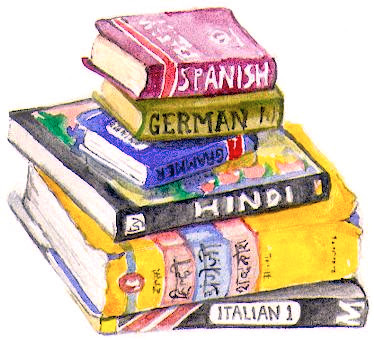 Joe reported on the spread of languages chosen for PLL - 91% doing French, 25% Spanish and 12% doing German. He also pointed to HLTAs playing a big role in some areas. Joe used the following song to discuss how we decode language using KAL and LLS. How did we work out the meaning? What comments might children make? Can actions help us? How could this become a month’s work? Could this cover all five strands of the Framework? For example - intercultural understanding in discussing songs from other countries about the weather. The only clues he gave were in the form of an action for each line. ¡Qué si! ¡Qué no ! Joe offered some ideas of brain breaks – using actions like stretch, turn, dance, and then adding adverbs or perhaps negatives. Why not do brain breaks in Spanish? Such activities cover Framework objectives and count towards the recommended time allowance. Finally Joe highlighted an often forgotten part of the Framework – part 3 which has 8 sections giving guidance on more general matters such as inclusion, progression, assessment, making links, transition. Under inclusion the Framework addresses self esteem, involving parents, social skills such as body language etc. Joe concluded by offering some ideas on the question - What does good PL look like? He demonstrated in a whistle stop 10 minutes that, from small beginnings, a unit of QCA can be extended to an end result that can be celebrated. Tongue twisters – eg Poquito a poquito Paquito empaca poquitas copitas en pocos paquetes. Produce a portrait of self for display labeled in language in simple words then sentences. QCA SOW is available and builds on KS2 Framework and 5 strands. Small steps – giving a broad base of knowledge and enthusiasm for language on which secondary colleagues can build.